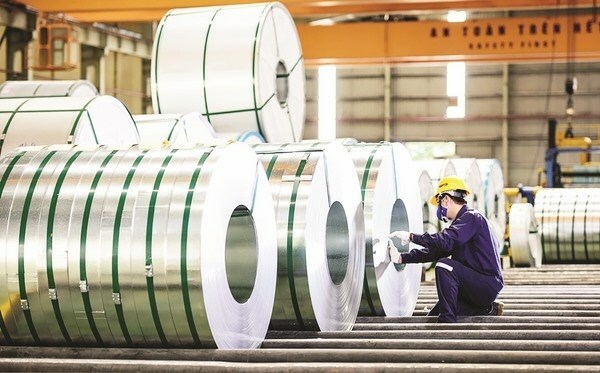 Hanoi (VNS/VNA) - Malaysia has announced it will initiate an anti-dumping duty investigation on the imports of cold-rolled coils of iron or non-alloy steel originating or exported from four countries, including Vietnam, China, Japan and the Republic of Korea. The petition, lodged by Malaysian producer Mycron Steel CRC Sdn Bdh, alleged that the import of non-alloy steel of more than 1,300mm in width originating or exported from these four countries was being dumped in Malaysia and causing material injury to the domestic industry. The petitioner said that the imports of non-alloy steel from the alleged countries increased in terms of absolute quality, adding that the Malaysian industry suffered from reduction in market share, price undercutting, price depression, price suppression, low production and capacity utilisation, decline in profitability, negative cash flow, low productivity, increase in inventory, inability to raise capital and reduction in return of investment and total assets. “In connection with this investigation, the Ministry of International Trade and Industry will provide a set of questionnaires to interested parties (importers, foreign producers, exporters and associations),” the Malaysian ministry said in a press release. “A preliminary determination will be made within 120 days from the date of initiation. If the preliminary determination is affirmative, the Government will impose a provisional anti-dumping duty at the rate that is necessary to prevent further injury,” the ministry said. The date of initiation was March 29. In the event no additional information is received within the specified period, the Government will make its preliminary findings based on the available facts.